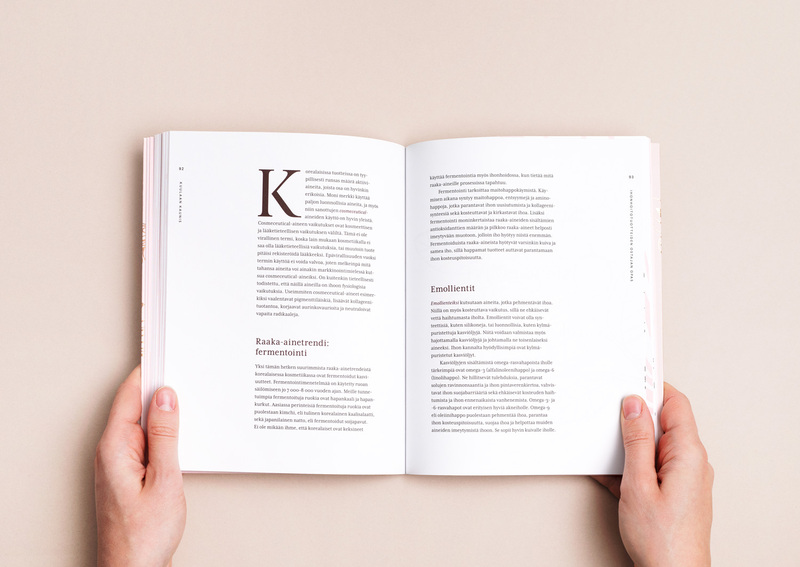 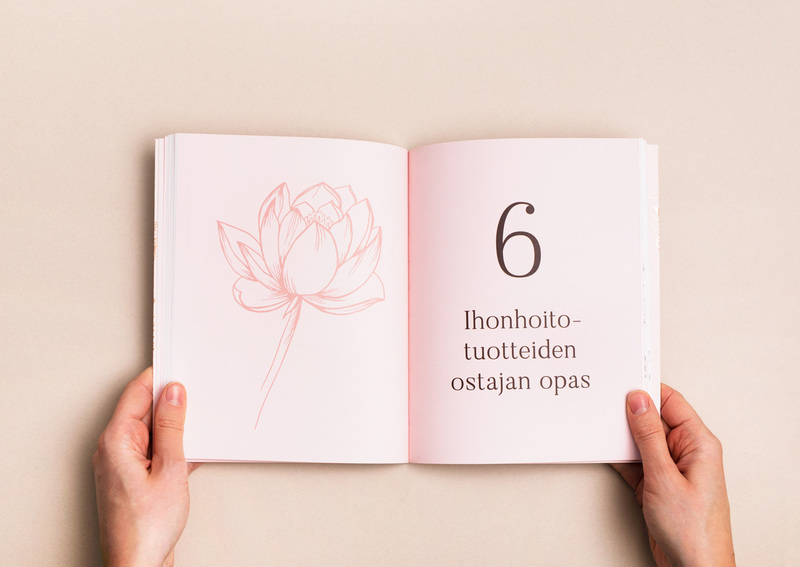 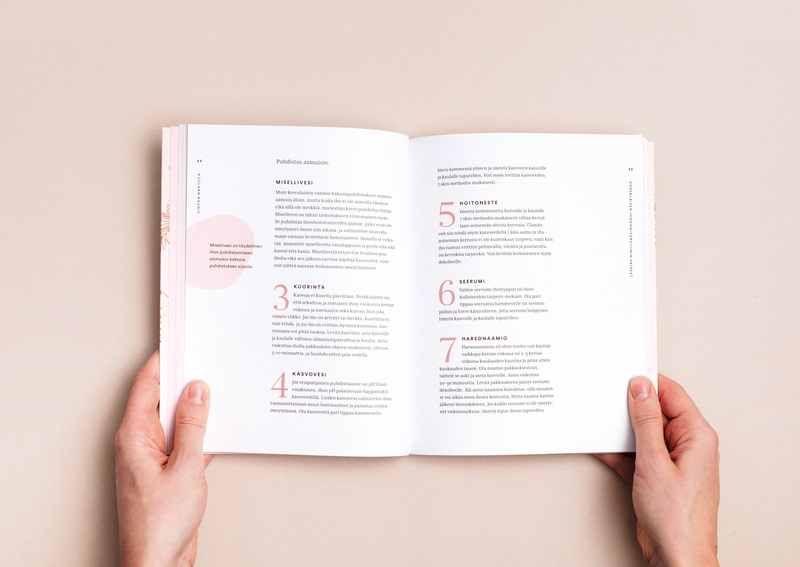 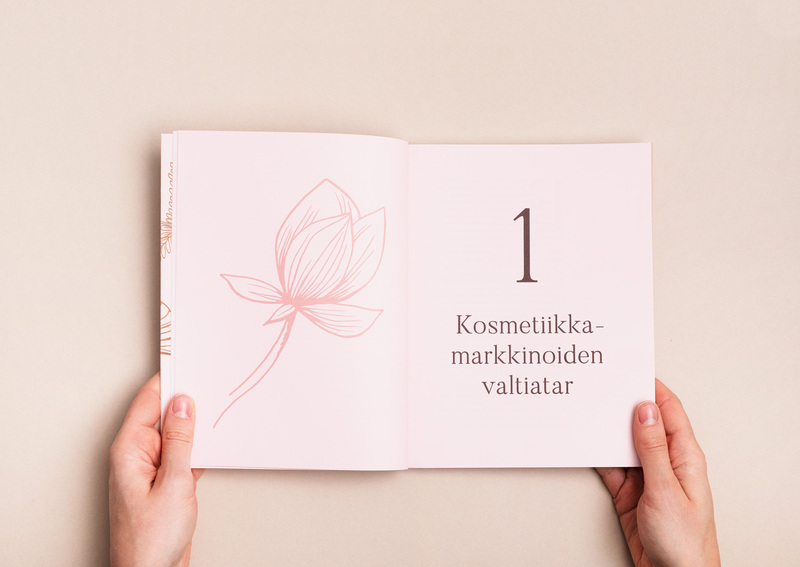 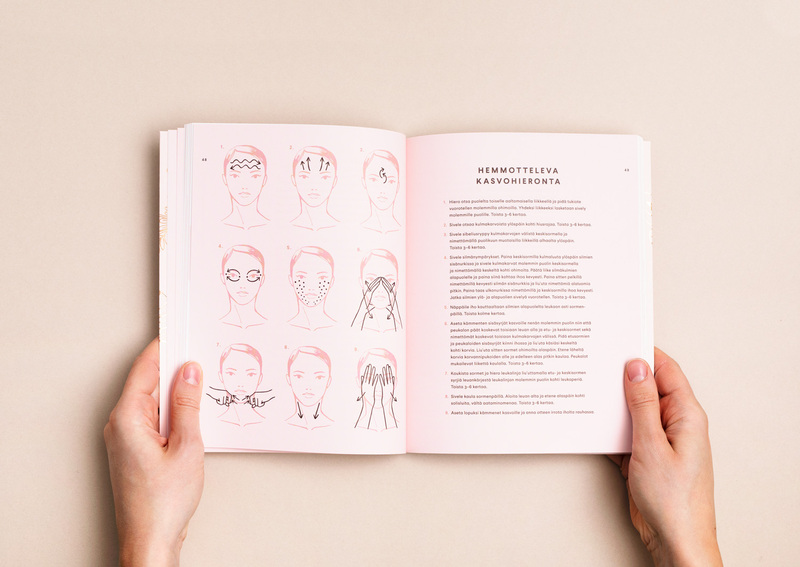 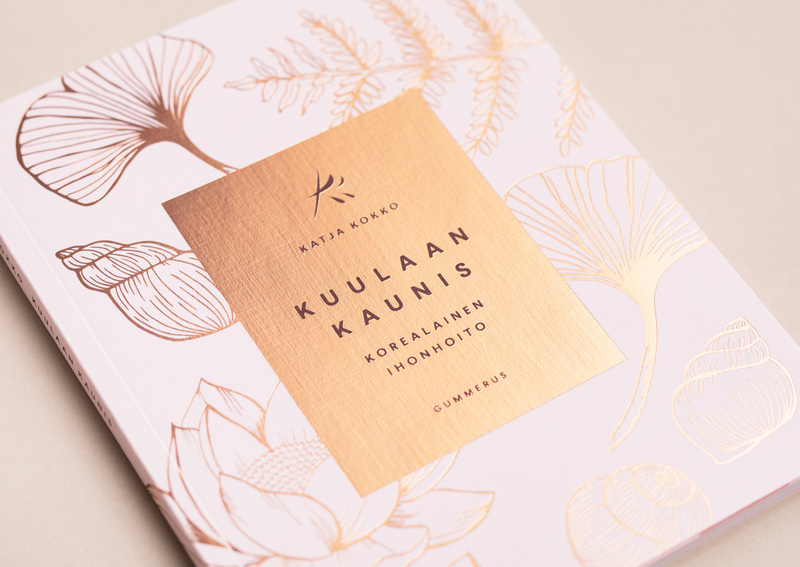 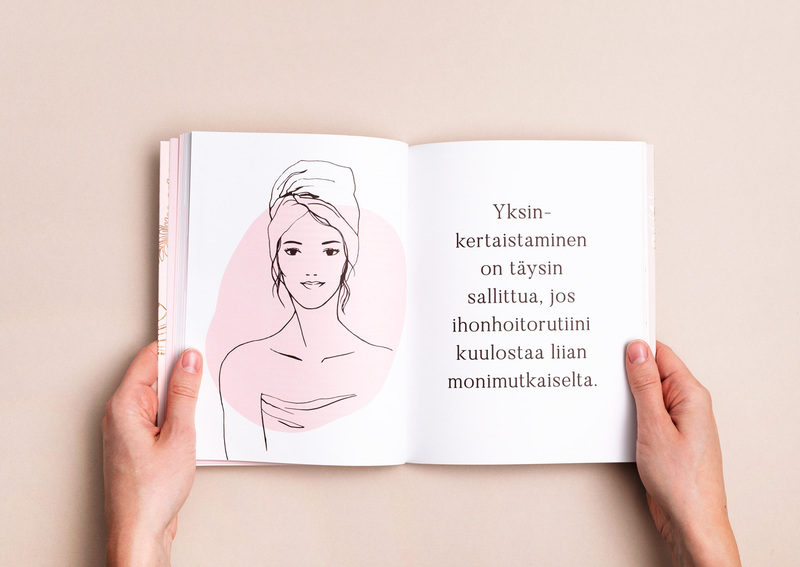 Kuulaan kaunis is a book about Korean skincare, written by beauty guru Katja Kokko. 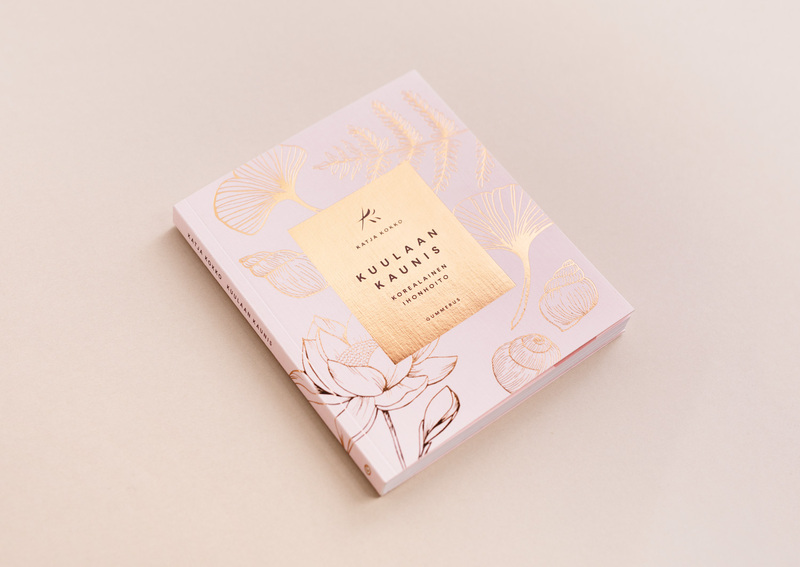 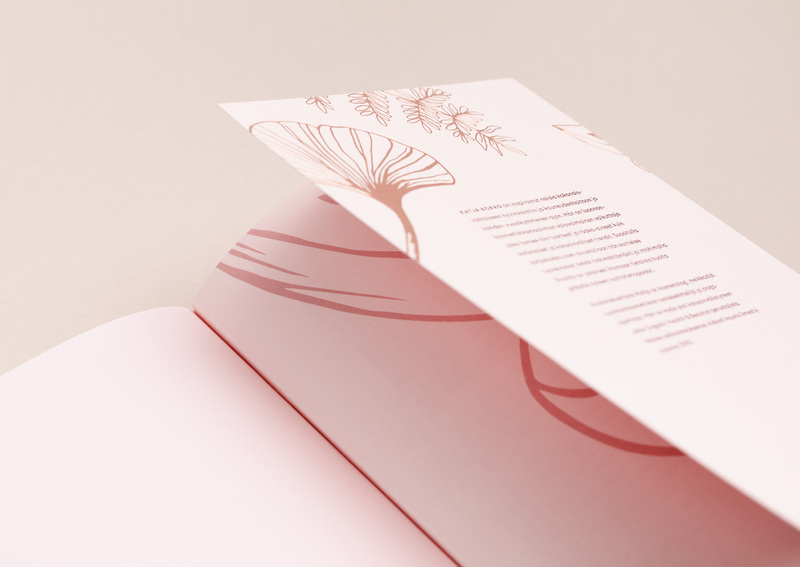 Packaging for beauty treatments and cosmetics provided the inspiration for the book’s cover, whose artwork is sourced from Korean skincare ingredients: lotus flowers, gingko leaves, shells and ferns. 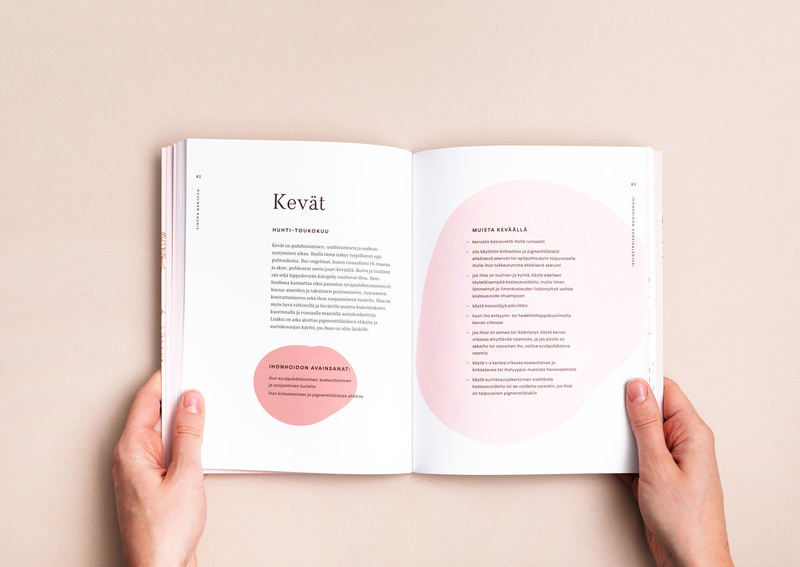 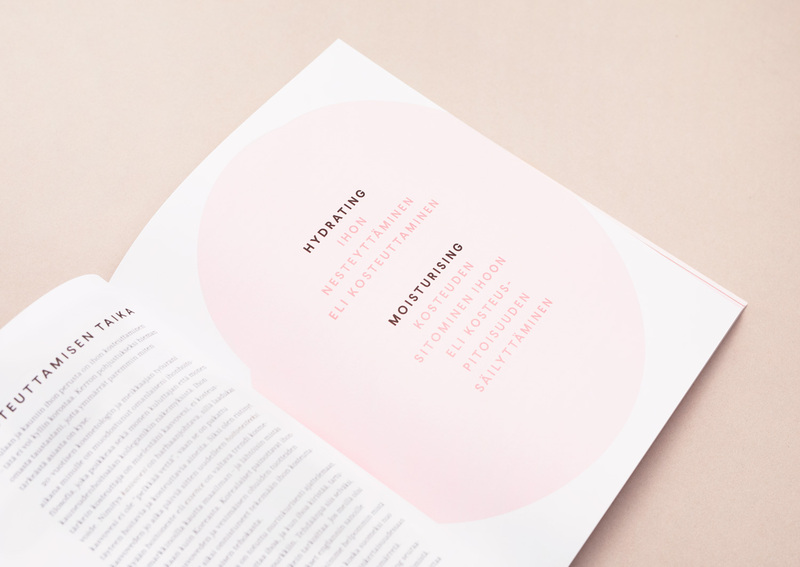 The contents are based on a minimal typography, enlivened by hand-drawn illustrations.